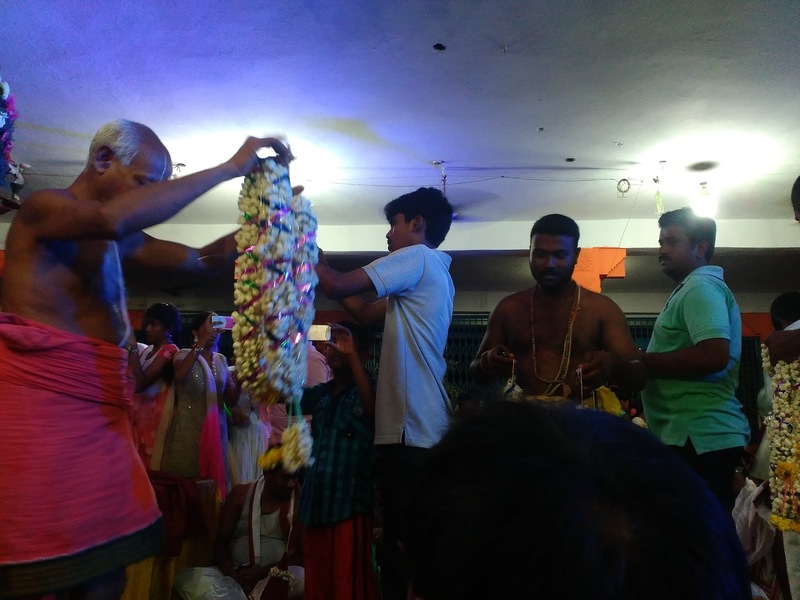 Garloddu Lakshmi Narasimha Swamy Kalyanotsavam 2016. 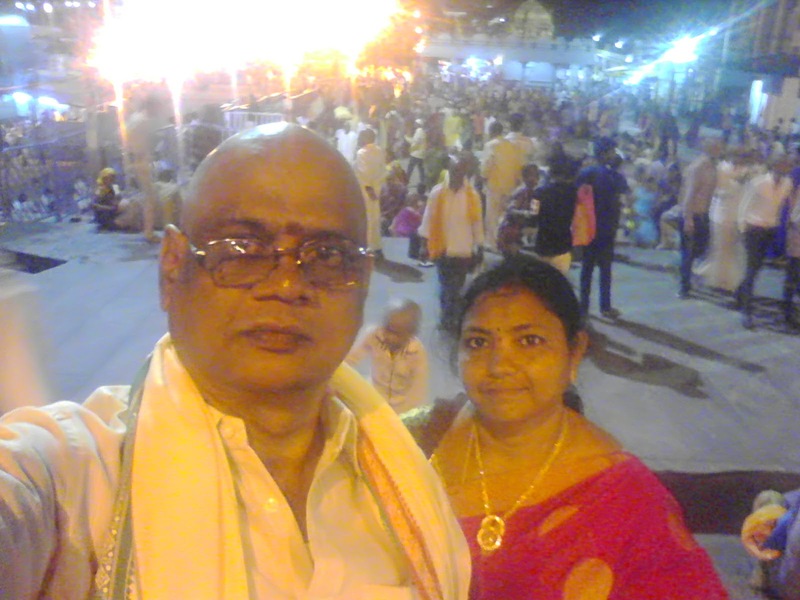 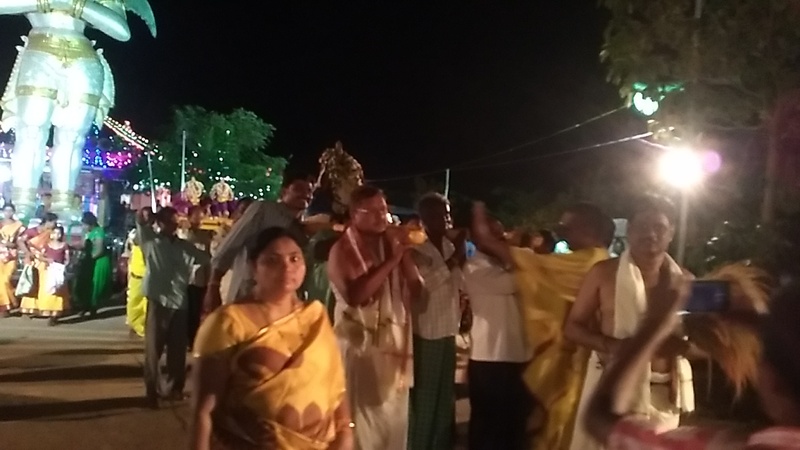 As usual this year also we had conducted Sri Lakshmi Narasimha Swamy Kalyanam at Garloddu Temple on 21/05/2016. This brief history relates to Sri Lakshmi Narasimha Swamy Kalyanotsavam which has been going at Garlavoddu Temple since 1964 to till date i.e more than 61 years.This Temple situated at Garlavoddu village, Enkuru Mandal , Khammam District, Telangana State, India. 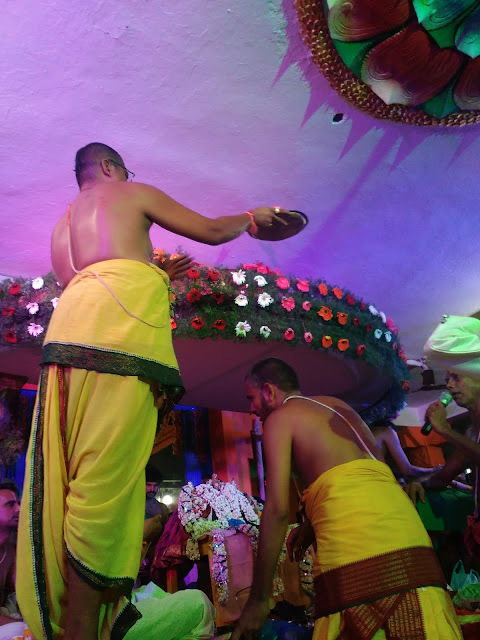 The Kalyanotsavam becomes part of Brahmotsavam since 2001 . 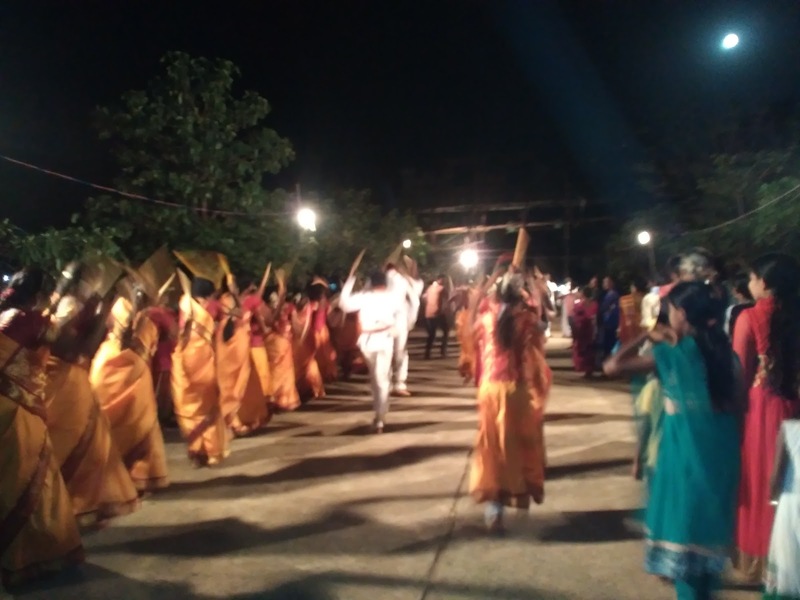 Earlier there was only Kalyanotsavam which had been Conducting by the Founder Family Members of the Temple since 1964 to Till Dwajastambha pratishta made year i.e 2001. After Founder Trustee Charge has been taken by Sri Maddigunta Narasimha Rao in year 2000, Dwajastambha Pratishta held under his Founder Trustee Ship in the year 2001 and since that year, Kalyanotsavams has been conducting as part and parcel of Brahmotsavams. 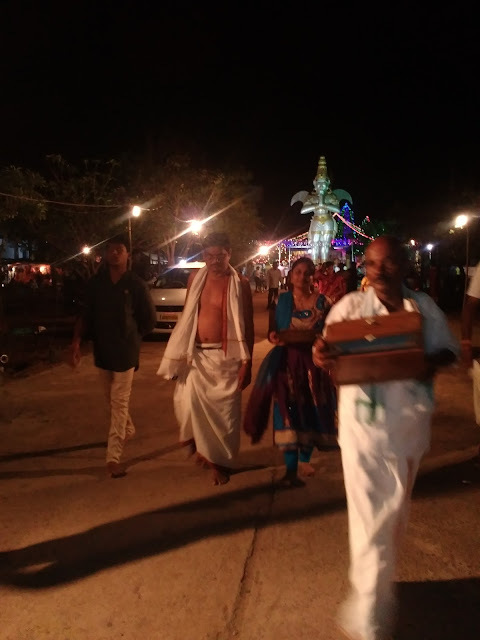 Every Year Brahmotsavams First day after completion of Evening sessions Homam Kalyanotsavam has been performing. 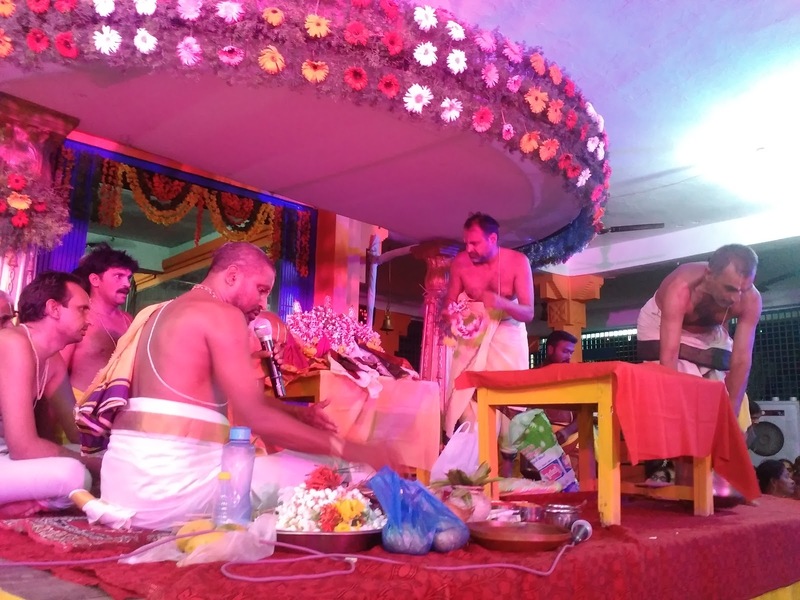 Thus Kalyanotsavam becomes part of the Brahmotsavams. 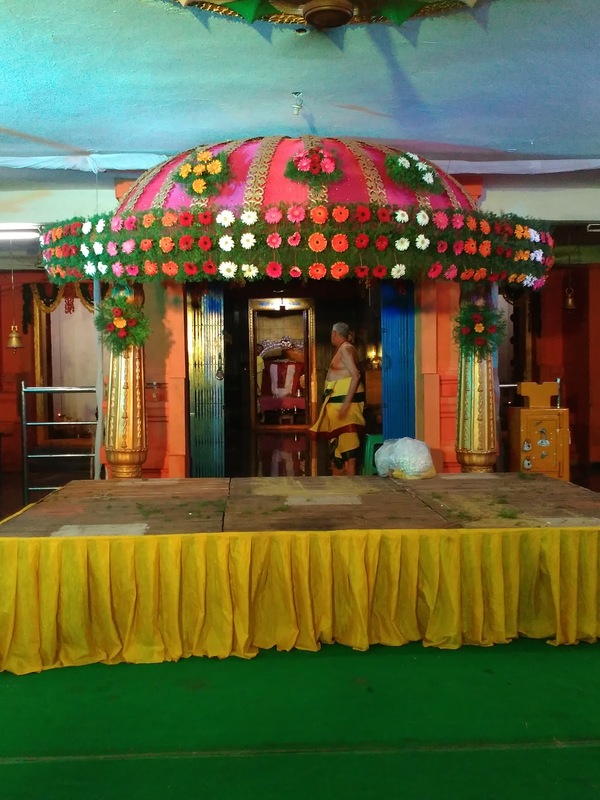 The brief History of the Temple is This Temple got Founded by Sri Maddigunta Thirupataiah in the year of 1963. 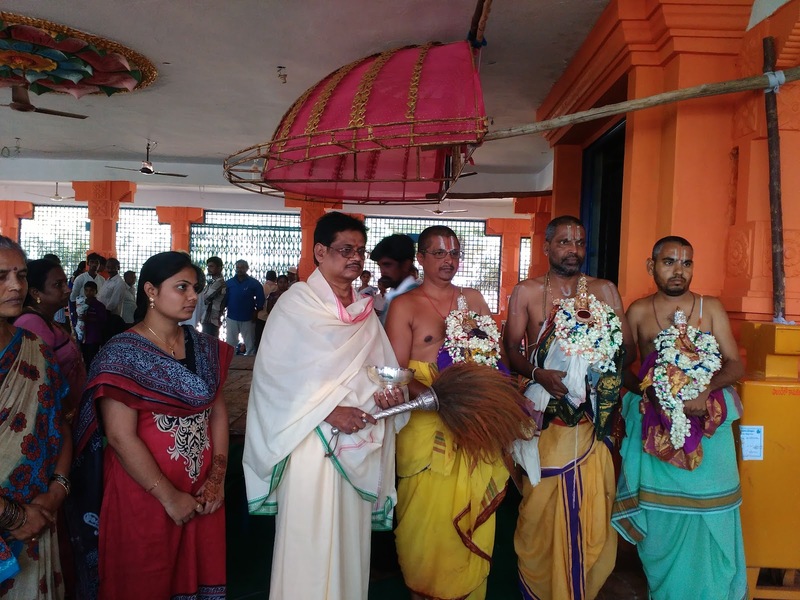 Till his demise he had been acted as Founder Trustee of the Temple and after his demise Sri Maddigunta Narasimha Rao has been recognised as Founder Trustee by the then Endowments Department. 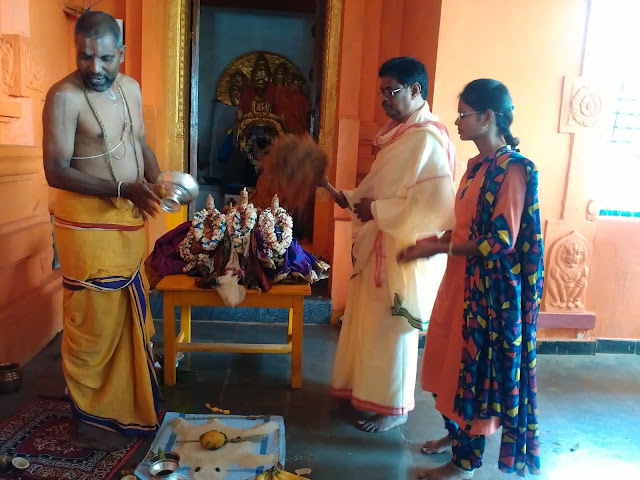 For more information may see this LINK . 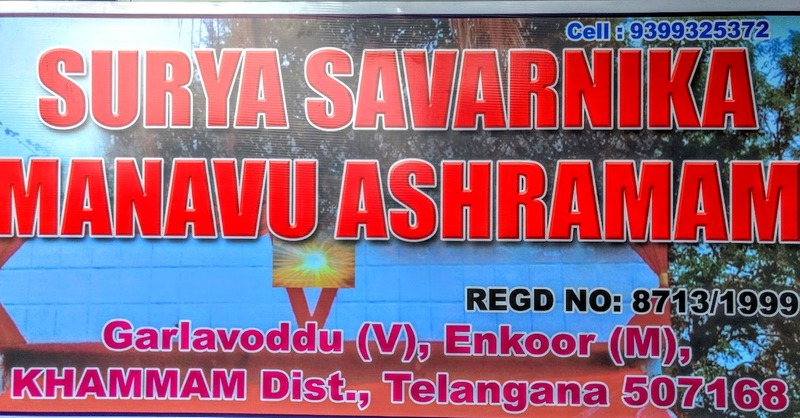 Sri Maddigunta Narasimha Rao also Founder of Surya Savarnika Manavu Ashramam . 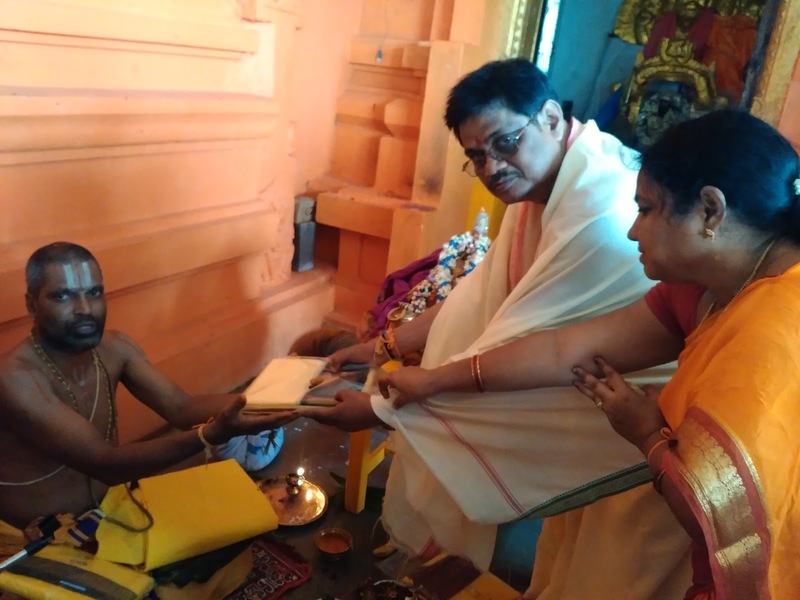 Sri Maddigunta Narasimha Rao Turns Founder Residence as S S M Ashramam. 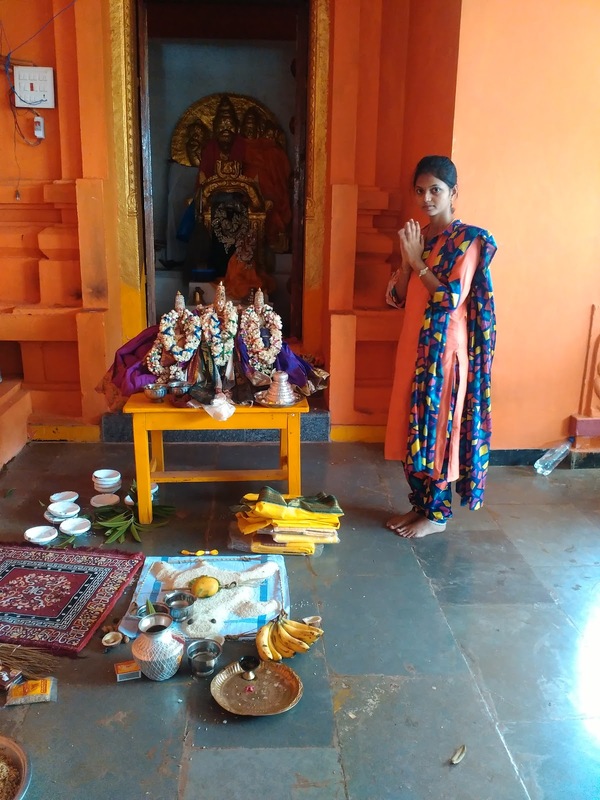 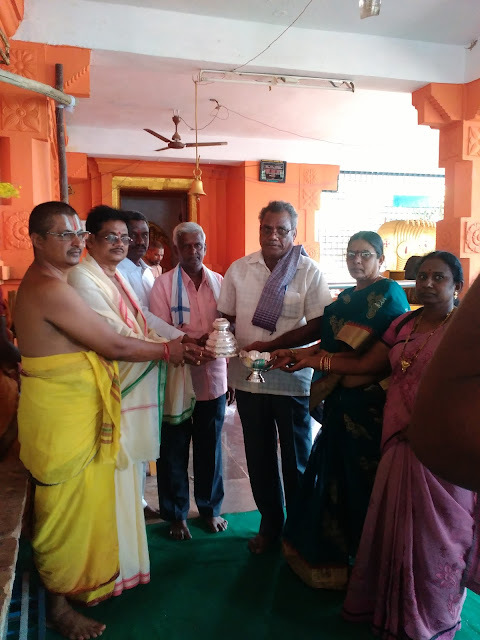 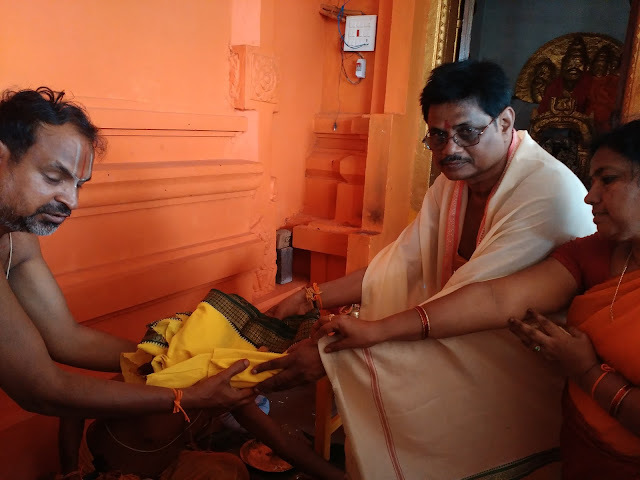 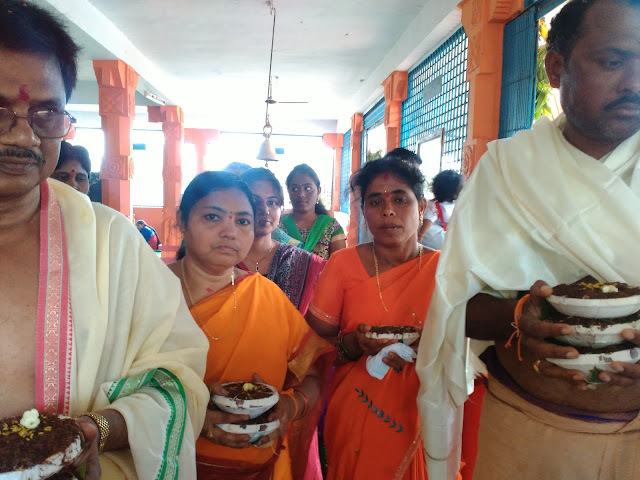 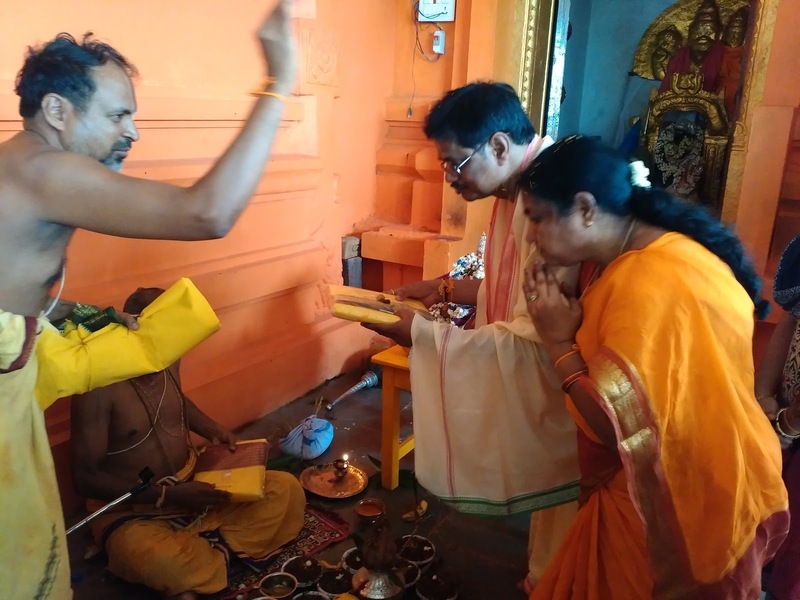 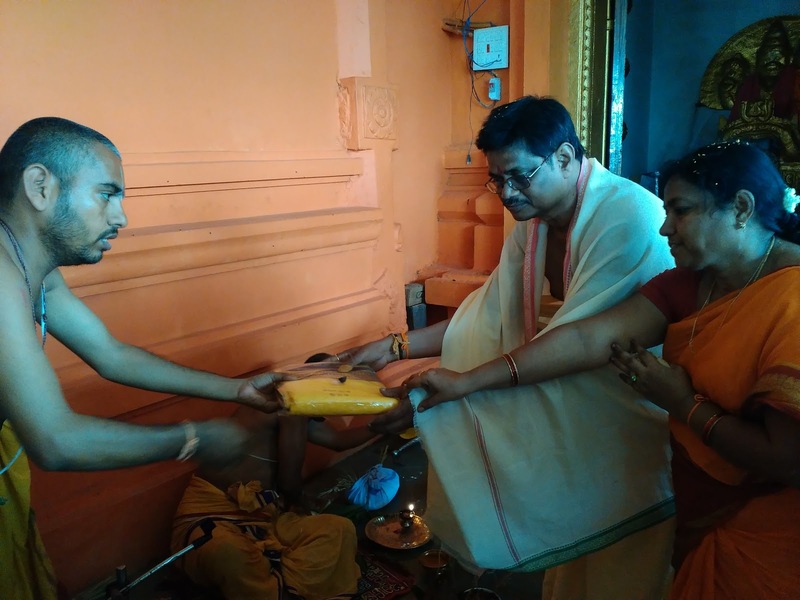 Since 1964 it is a observing tradition that Tying Thoranam at Founders Residence and "talambralu " has to brought from Founder Residence to Temple with all the Temple Honor on the day of Kalyanotsavam. .
Sri Lakshmi Narasimha Swamy Kalyanostvam has been started by Founder Sri Maddigunta Thirupataiah in the year 1964 and he had been continued it upto 1992. 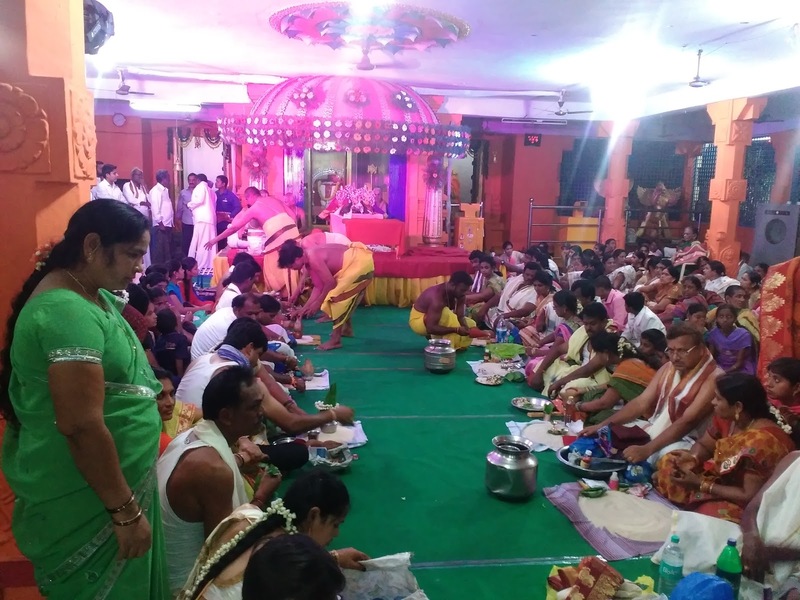 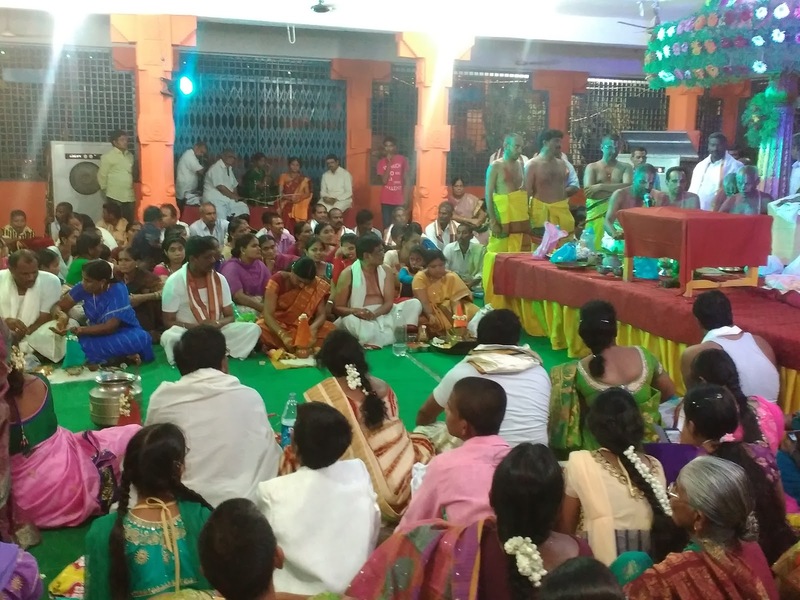 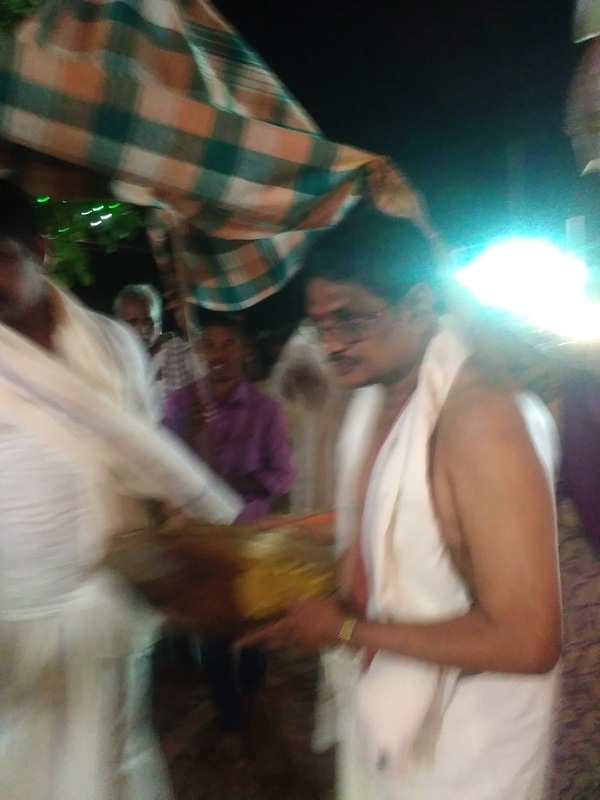 After the marriage of Sri Maddigunta Narasimha Rao , who is the son of Sri Thirupataiah, the pious duty of conducting KaLyanotsavam handed over to him and since 1992 to till date Kalyanotsvams has been conducting by Sri Maddigunta Narasimha Rao . 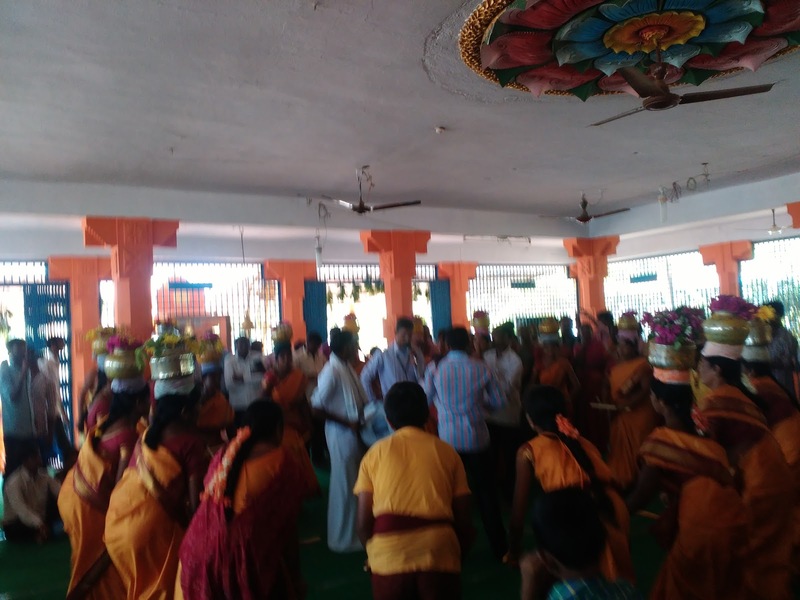 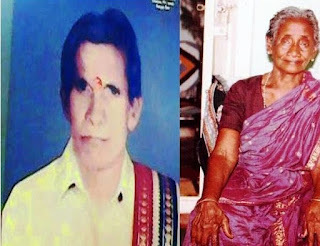 Thus for more than 60 years the only Family i.e Maddigunta Family Members has been conducting Kalyanotsavams. 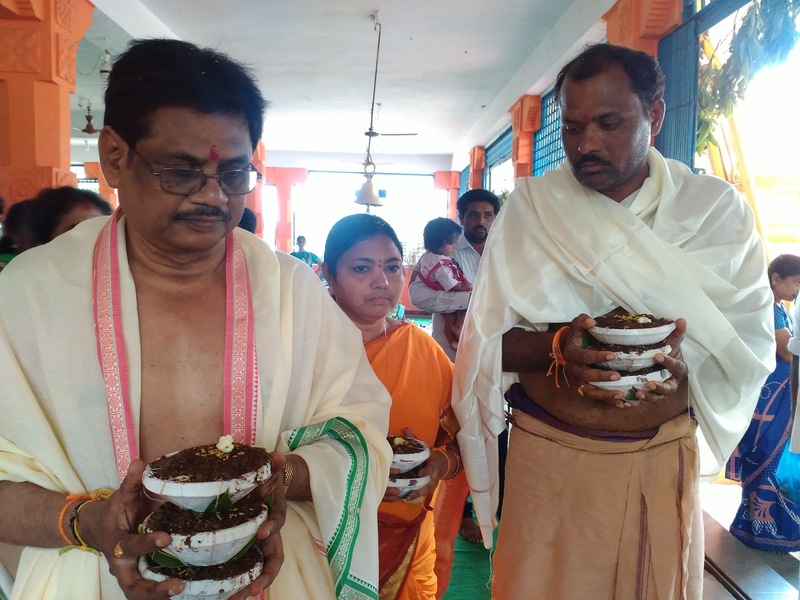 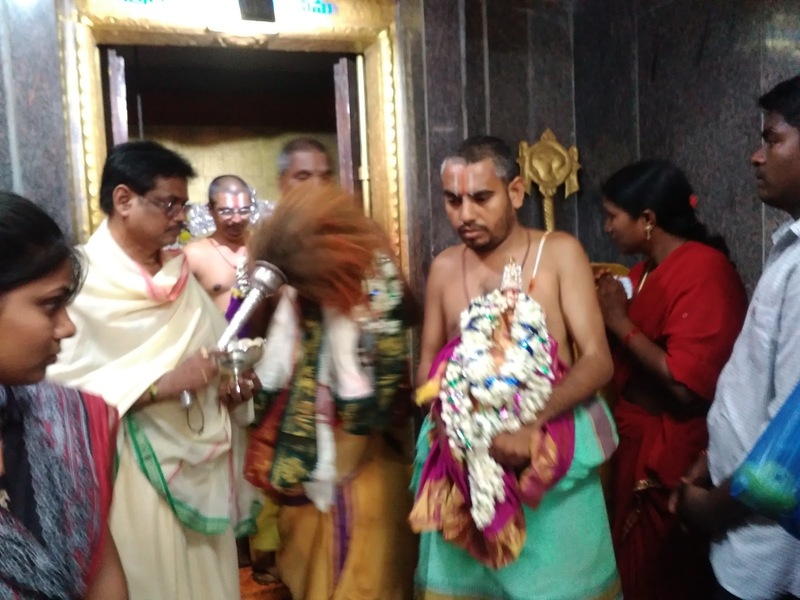 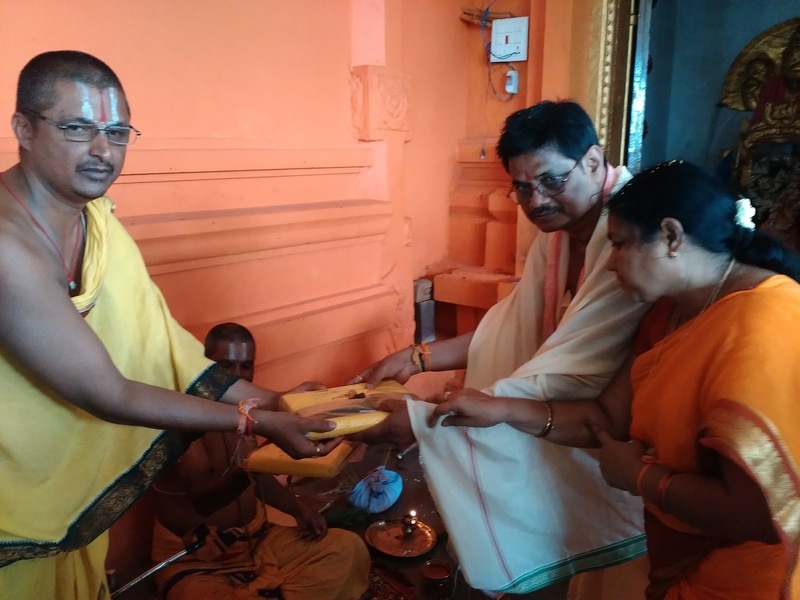 After Founder Trustee Charge taken, as Founder Trustee, Sri MaddigunTa Narasimha Rao has been Started Brahmotsavams in the Temple ,and since 2001 to till date the Brahmotsavams also has been continuing . This below images relates to above said Brahmotsavams including Kalyanotsavam for the present year. 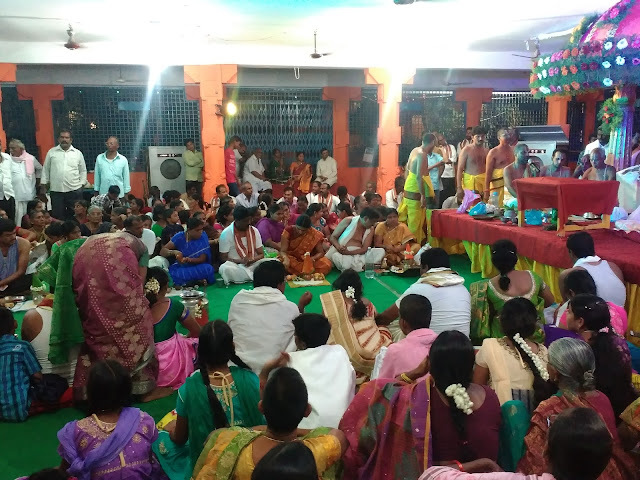 In these images we may see Founder Trustee Maddigunta Narasimha Rao Couple activities and other Family members presence. 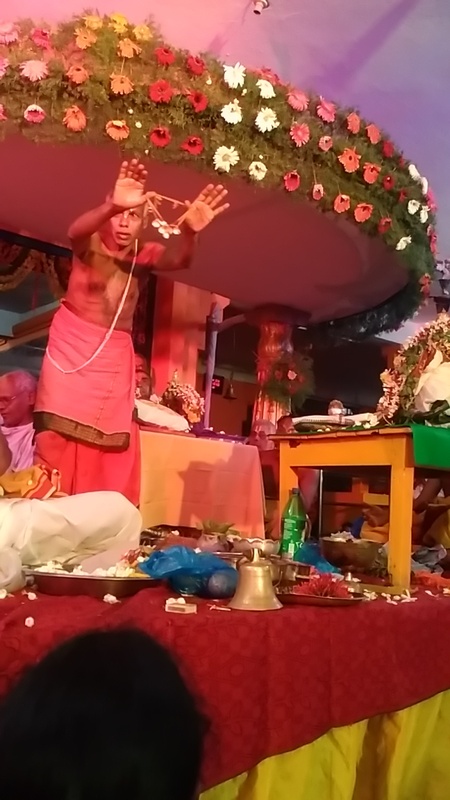 Some more images related to Swami vari Kalyanotsavam are given below.